For some, brandy can be a rather polarizing drink. 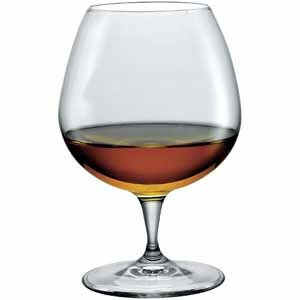 While many people love wine, only some of those love brandy and usually not until later in their lives. However, Germain-Robin's Single Barrel Colombard is exactly the type of brandy that could turn non-brandy drinkers into brandy lovers. This is fantastic stuff. 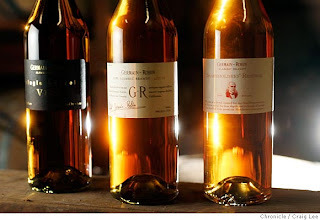 Colombard was the preferred grape of Cognac in the 1800s, before phlloxera; this show you why. The river-bottom soil of the Hildreth ranch contains peat: you can taste it. This brandy received an impressive score of 97 by Wine Enthusiast. Germain-Robin's Single Barrel Colombard pours a rich, golden hue. 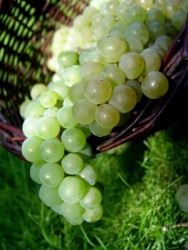 On the nose, it has very soft hints of fruit and a subtle mustiness. Upon first sip, you are greeted with a complex, rich flavor, yet with a silky and velvety mouthfeel that is common only to the finest spirits. You can certainly taste peat in the background, giving this brandy a unique and welcome depth. It genuinely is one of the smoothest, softest, most elegant brandies I have had the pleasure of drinking. Like I said earlier, this could easily turn non-brandy drinkers into brandy-lovers. Hopefully with time I can taste some of their other single barrel offerings. Amazing stuff. Drink This: if you want a ridiculously soft and smooth, complex brandy. If you already love brandy, you will adore this. Don't Drink This: if you don't appreciate delicate, craft spirits.